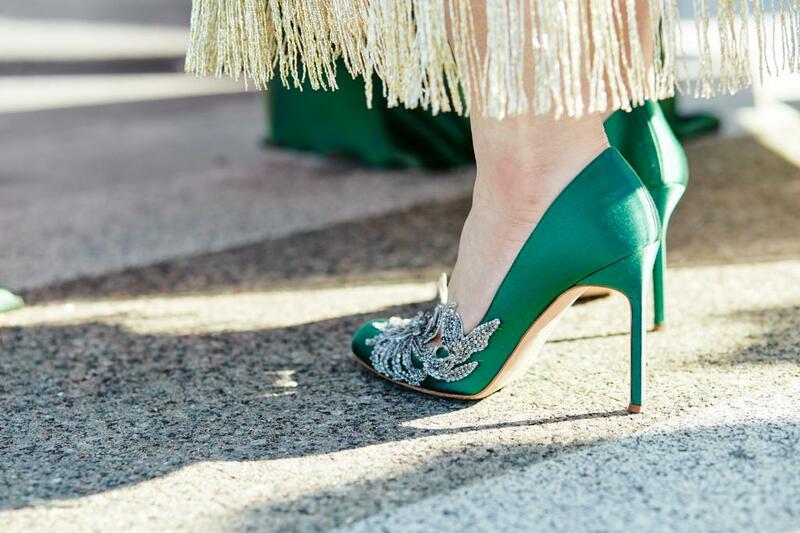 It's the four words that set New York on fire - Manolo Blahnik Sample Sale - and according to the very reliably informed @madisonavenuespy it's back this Thursday at The Warwick Hotel, starting at 11am and running until they're out of stock (usually just a few hours). Madison Avenue Spy have the rundown on what to expect and what happened last time on their website - but note that it's often chaotic, some people regularly leave disappointed, and there's often some people who just don't get in, so we recommend that this is for determined sample sale shoppers only and approached with some caution! Plus we haven't had official confirmation from the brand - so go at your own risk. Have fun, and make sure to keep us updated in the comments! Note that the image used is a stock photograph and doesn't necessarily represent styles in the sale. It felt a bit weird to explain my son that i have to leave at dawn to a hotel to get the number for a sample sale, and i got the info from madisonspy. The good thing its real,i got the lucky number 3 at 7:15. They got nice selection and almost everything in great condition, though didn’t have almost anything in sizes 36-36,5. The racks were clearing really fast.